THE YOUTH - THE FUTURE OF THE UMMAH. Engaging young Muslims in healthy activities and laying the foundations for a lifestyle consistent with the teachings of Islam is undoubtedly one of the most important endeavors a community can undertake. All thanks and praise to Allah (SWT), the Bakersfield community has been blessed over the years with several individuals who have done a very good job of leading a wide-variety of successful events for the youth. 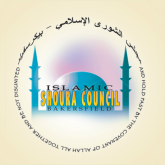 Shoura Council events for the youth have included ski/snowboard trips; a swimming pool bar-b-que; and a deep sea fishing expedition, to name just a few. Perhaps the most well-known of these events is the annual basketball tournament. If you are interested in participating in the youth program, check back here for the latest updates on any upcoming events. In addition, you can receive free email alerts notifying you of any planned events by sending an email to freeemailalerts@iscob.org.